Yes, another Sunday afternoon wander around Brick Lane with Pola. These Sundays are becoming quite a habit just like triple chocolate brownies from Lily Vanilli. 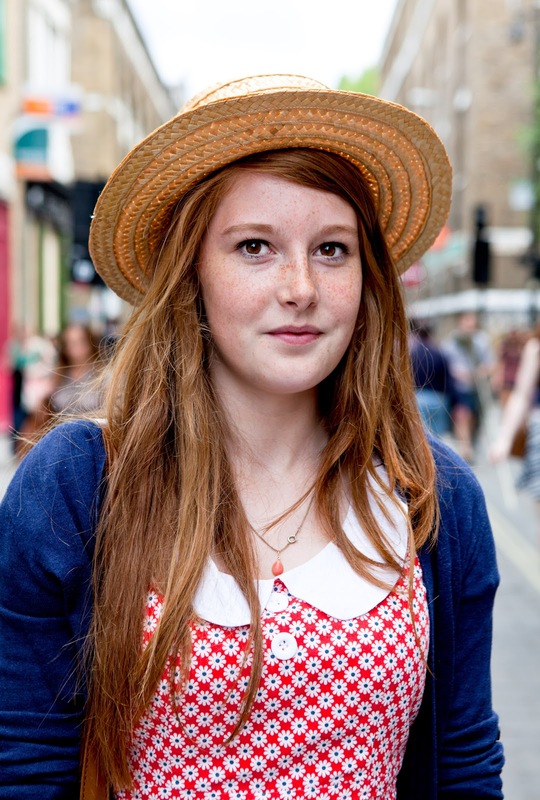 We were walking down the street chatting and people watching when I turned around to Pola and caught a glimpse of red hair and a straw hat then freckles! Right beside me was a beautiful red head with straw hat and freckles! I could not NOT ask. She was simply adorable girl from Hampshire visiting London with her parents. I loved how shy she looked in front of the camera posing in the middle of Brick Lane.